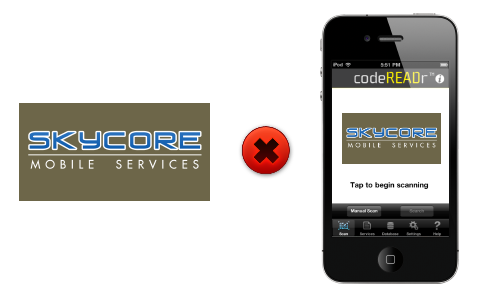 Code Scanner App is Rebrandable with Your Logo! 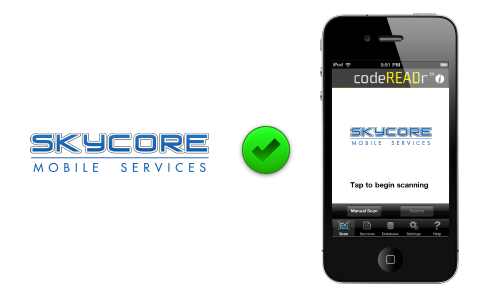 We’re always building the codeREADr code scanner app to be as customizable as possible. You can configure your account to choose the way your scans are processed, which questions you want to ask alongside each scan, and even control whether some of our app’s features are enabled or disabled. In particular, our app rebranding feature gets many of our customers excited. 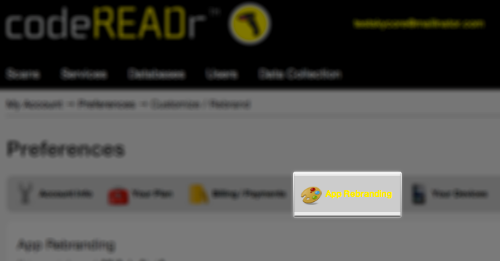 Just upload your logo to codeREADr.com, and any user under your account will see that logo on our app’s scan screen when they log in, just like the image above. 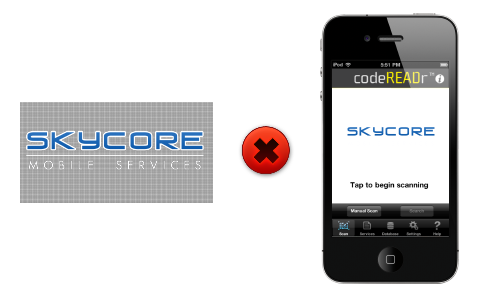 After the jump, we’ll show you how to rebrand the codeREADr code scanner app in just a few easy steps. First, log into your account and click on the “Preferences” link in the top navigation bar. You’ll see a link titled “App Rebranding” – click on it to get started. Before you upload your logo, you need to keep in mind that it will display against a white background within the app. We recommend uploading a PNG with a transparent background to keep your logo from having an ugly colored box around it, like the example below. But if you do decide to upload a transparent PNG, you also need to remember that the background will be white. So, pure white images or text will not display against the background. If this is a concern, you can upload an image with your own stylized border – like a rounded rectangle, in this example. Or, you can use a version of your logo intended for display against a white background. For example, many businesses have a version of their logo to use on stationery and letterhead. Make sure the image is less than 150KB in size. Now, select the file on your computer and press “Upload”. 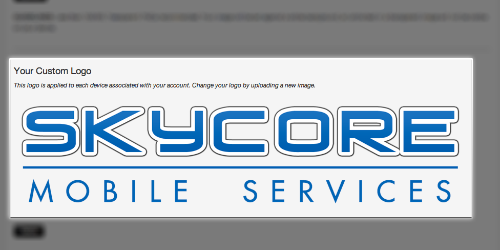 Once it’s done, you should see your logo displayed on the page below the upload form. 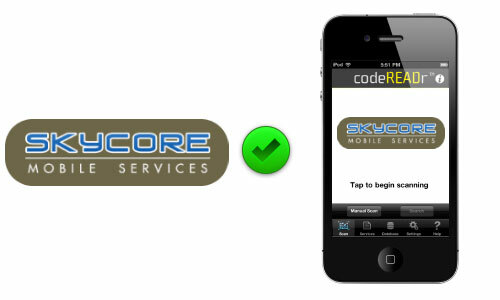 Now, when your users log into codeREADr’s code scanner app for iPhone or Android, they’ll see your logo right on the scan screen.